The leading network of electrical and plumbing contractors in Australia and New Zealand. Laser Group is a proud family of quality-focused trade service professionals in the plumbing and electrical industry. Our multi-award winning Laser Plumbing and Electrical Groups have experienced phenomenal growth and we are delighted to be the leading network of plumbing and electrical contractors in Australia and New Zealand. Laser Group's market leadership position has been earned through innovation, planning, use of quality systems and attention to providing the highest levels of customer service. 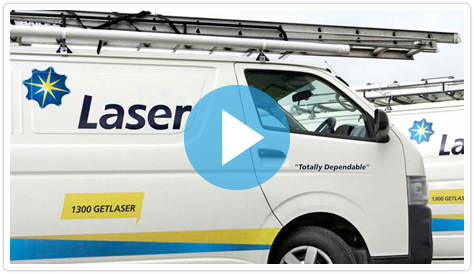 From our modest beginnings in 1983, Laser Group has maintained its core structure and customer values to grow into one of the largest plumbing and electrical contractor networks across Australia and New Zealand. Laser Group was co-founded in 1983 by David Clemmett and Peter Bassett, when the pair started the electrical contractor company 'Laser Electrical Ltd'. Clemmett and Bassett grew their company through the eighties into one of the largest of its kind in Auckland, New Zealand. Laser Group's innovative systems, unique business model and loyal customers make it the top service provider for plumbing and electrical needs across Australia and New Zealand. Laser Group's innovative business model allows us to provide our Members with access to software systems and administrative support to help them achieve their goals. 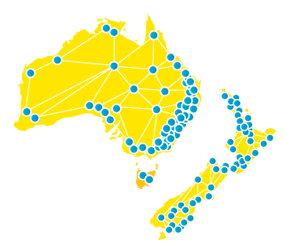 Today, Laser Group has more than 250 Members who employ over 2,300 staff in their Members' network in Australia and New Zealand. Laser Group continues to broaden its membership base as we are set to grow our contracting companies to over 500 members across Australasia. We provide systems supportive of business planning & development." Lynda Redfern takes professional development and business flexibility seriously, so when she won Master Plumbers competition to attend the Australian Chamber of Commerce and Industry’s Next Gen event she jumped at the opportunity. South Australian business Laser Electrical Renmark has been named the Laser Electrical Australia Business of the Year at the annual Laser Group conference, beating more than 60 other Australian businesses. Laser Group Australia director Steve Keil has backed calls for the Point of Sale (POS) regulations around the WaterMark product certification to be updated, keeping in line with the changing industry. Steve Keil is the driving force behind the Laser network which supports more than 250 plumbing and electrical contracting businesses across Australia and New Zealand. After several years of building, training and maintaining their own software, Laser turned to simPRO for a solution to support their growing community. Steve Keil has a relaxed and yet strong leadership style and has a great skill in following a vision and what a big vision it is, as he leads the biggest franchise/group in his field in Australia and New Zealand - The Laser Plumbing and Electrical Group. Listen below for his interview with Glenn Azar. Is race car sponsorship a smart marketing strategy? 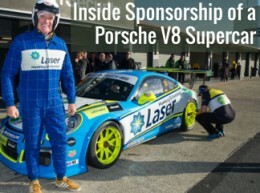 Have you ever wondered what the ROI on sponsoring a race car is? What is the point was in having your logo on a race car that was belting down the race track at 200 km/hr. Is it really good brand awareness? Is it really worth the money? How much does it cost anyway? I wish we had joined Laser years ago. The business would be far beyond what it is today." The biggest part of Laser that you can't measure are the networking opportunities. We can lean on each other to learn and grow our own businesses." The biggest thing for us as a business was seeing the opportunity to grow and having that external assistance from the Laser Group." The opportunity to network has been brilliant. Not only with other Plumbing and Electrical businesses in the area but nationally and internationally with New Zealand." The systems just keep coming and that's amazing for us. Just when you think you've got it as good as it will get, Laser brings something else in which just makes it so much better." There is a better way to run a trade business.